This week’s topic for 52 Ancestors/52 Weeks is: Lucky. Here is my response. As many of you already know from reading my blog, my father, Charles L. HEISER (1913-2001) was raised by his maternal grandparents, Montgomery PRICE (1859-1947) and Sallie PYLES PRICE (1862-1940). 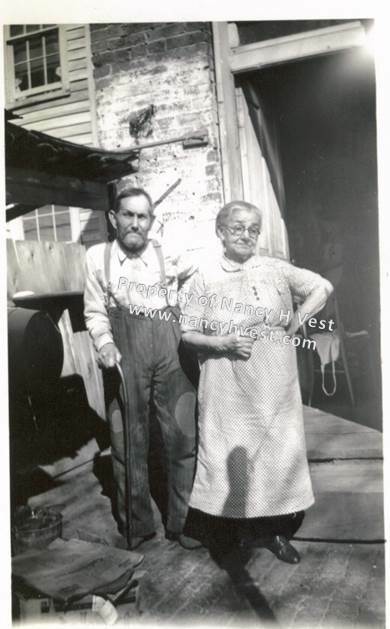 My great-grandparents, Montgomery Price and Sallie Pyles Price, at the back of their row house in Frederick, Maryland. Neither of my dad’s grandparents lived long enough for me to meet them, but my dad told a few stories about them. Here’s one of them. 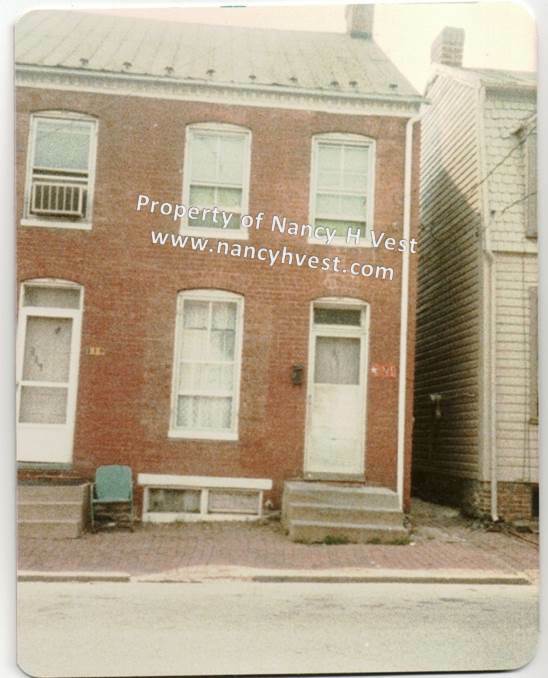 My dad and his grandparents lived in a tiny row house in Frederick, Maryland. The house had only one bedroom upstairs. My dad slept in the bed with his grandmother until he left home. His grandfather, Montgomery, always slept downstairs on the couch. He would never sleep upstairs, anywhere. My dad grew up in the brick row house next to the alley in this photo. When Montgomery was a boy he was asleep upstairs in a house that caught fire. It was a terrifying experience for him. Montgomery told my dad that he was lucky to have made it out of the house alive. Montgomery wasn’t taking any chances of that happening to him again by sleeping upstairs…ever. The fire probably happened in Montgomery County, Maryland, since that’s where Montgomery was raised. I couldn’t find any newspapers clippings about a fire happening in that area during Montgomery’s boyhood years, but that’s likely because the clippings are lost. A fire like that would probably be noted in the newspaper.